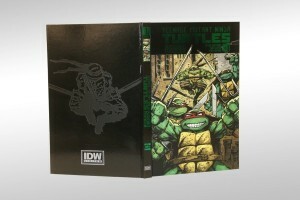 Limited to 25 copies, each IDW Limited Black Label of Change Is Constant is housed in a custom, handcrafted traycase, also containing a unique, hand-drawn illustration with full colors from Dan Duncan and a signature plate signed by TMNT co-creator Kevin Eastman, series writer Tom Waltz and artist Dan Duncan. Signatures and artwork are housed in a hardcover artist’s portfolio accompanying the book. Limited to only 25 copies worldwide. Hand-numbered and emblem of authenticity crimped sketch plate on 250 gsm art paper featuring an illustration of one of the Teenage Mutant Ninja Turtles by series artist Dan Duncan. 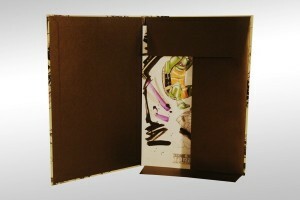 Custom-designed sketch portfolio featuring Dan Duncan artwork. New sketch art end pages featuring the Turtles in combat rendered by Dan Duncan. 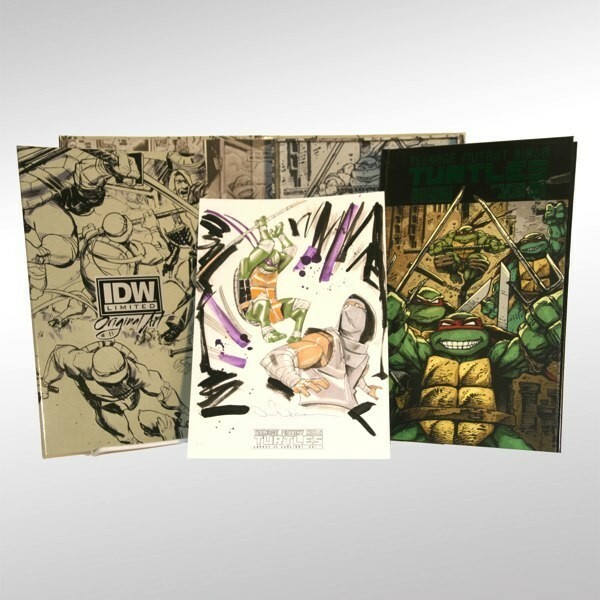 Limited to only 25 copies, this special Black Label edition is hand-signed and numbered by TMNT co-creator Kevin Eastman, series artist Dan Duncan and series writer Tom Waltz. 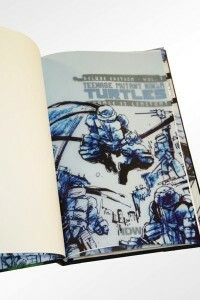 Also, exclusive to the Black Label edition, each copy includes an original, hand-drawn, full-color illustration of one of the Turtles by TMNT artist Dan Duncan. Each unique, hand-drawn illustration is numbered to match the book and is housed in an exclusive hardcover portfolio. The deluxe limited edition is packaged in a high-quality tray case, exclusively designed for Black Label customers. Change is Constant collects Teenage Mutant Ninja Turtles #1-4, plus bonus materials and highlights TMNT’s return to comics with a brand-new origin story in their first IDW adventure. Featuring familiar series favorites like April O’Neil and Casey Jones, and introducing a new villain—the dangerous mutant alley cat—Old Hob, this is the start of a wild ride!